San Diego residents who diligently fill green waste bins for collection are definitely doing a good thing. The city estimates that 30% of the waste in Miramar Landfill alone is green waste that could have been recycled which is a shame because the landfill is nearing it’s maximum capacity. Paying attention to what is thrown into the green waste can is particularly important to the city’s recycling program, which is generating tons of useful garden material that’s available to residents… for free, in some cases. We also have eight easy ways to reduce garden waste. There are six active landfills in the county with Miramar Landfill under the most stress and likely to close in 2022, perhaps earlier. The new Gregory Canyon Landfill, located 3 miles east of 1-15 along the State Route 76, will step in to relieve some of the burden in 2015. As you can imagine, disrupting a pristine patch of land like this is met by huge amounts of protest. But the fact is that the average San Diegan generates about 4.4 lbs of trash every day and this rubbish has to go somewhere. Recycling properly truly has the most impact. shrub clippings longer than four feet or more than six inches wide. In the City of San Diego, your green waste can shouldn’t weigh more than 50lbs and you may not leave plastic bags at the curb for pick up or toss them in the can. This is not a complete list of unacceptable plants. If you have a load that contains tropical, fibrous or succulent plants please call the landfill ahead of time. Why Does the Type of Waste Matter? Some waste is tough enough to break the machines that grind it into mulch and compost. Yes, Miramar Landfill’s Greenery produces high quality mulch, compost, and wood chips on site. Compost: Miramar Greenery compost is made from wood trimmings and food waste (generated by pre-approved commercial venues) that are ground, placed in windrows (long rows of heaped material), turned and watered over the course of 70 days. During this time the organic material is broken down and weed seeds are eliminated by microorganisms that digest the carbon and nitrogen rich mix. The finished particles are screened to 1/2 inch in size. Mulch: Miramar Greenery mulch is made via a shortened composting process of shredded trees and yard trimmings over the course of just 15 days. Wood chips: This is what happens to old pallets, construction lumber, and logs. They are ground to a size of one inch or less and Miramar Greenery actually offers these recycled wood chips in a variety of colors: natural, plain, red, and brown wood. This 10-minute video about the Miramar Greenery, narrated by the late Loren Nancarrow, explains the entire process. City of San Diego residents can self-load up to two cubic yards of compost or mulch for free with proof of residency. This is a huge amount as one cubic yard is equal to the size of six 32-gallon trash cans! Anyone can purchase from here, however, though it’s advised to call the Greenery in advance to check availability. You’ll need to be able to transport the mulch appropriately as it isn’t bagged up like at a local nursery. This basically means you need a truck with a tie-down tarp. It is, however, worth the effort for covering large areas as the price is right as a cubic yard of wood chips is just $18. It is still incredibly helpful to the landfills for homeowners to recycle as much green waste as possible, versus throwing it into the trash, while also cutting down the amount of green waste generated. Here is how to reduce green waste at home. Consider lawn replacement with artificial turf or a living ground cover that requires less maintenance. Weekly grass clippings, if not left on the lawn as mulch, add up. Remember, there may be a rebate for lawn replacement available. University studies have shown that the average California lawn generates 300 to 400 pounds of grass clippings per 1000 square feet annually. 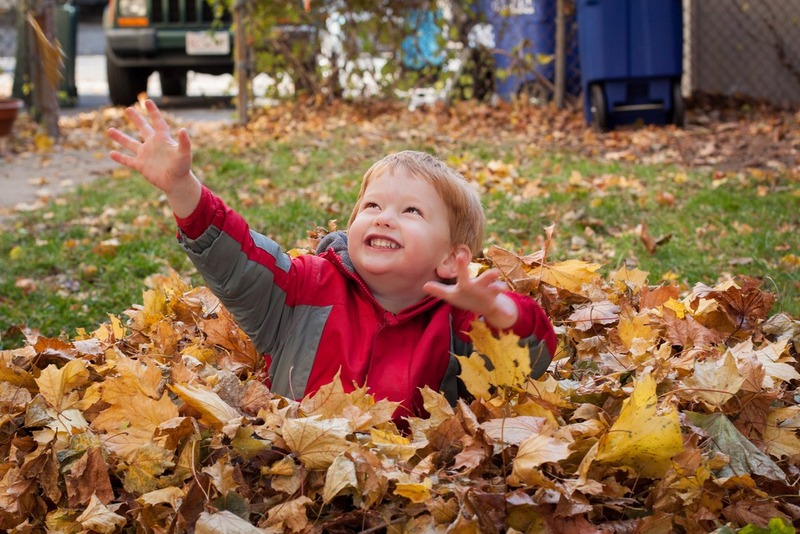 Prevent excess seasonal dropping of leaves (oak trees and maple trees are a good example) by rotating in plants and trees that don’t drop as many. Remember that completely replacing trees and plants also creates waste so this may be a better strategy to incorporate as existing plants live out their natural life cycle or as you require more plants. Create walkways, borders and new practical space in areas that would otherwise generate green waste. Consider using interlocking pavers. Low maintenance landscaping cuts your gardening bills, too. This may omit a number of water-wise succulents so weigh the pros and cons. However, if you or your gardener won’t remember that bird-of-paradise leaves and stems can’t go in the green waste, then don’t use it. My gardeners tries to throw it in our green waste all of the time. 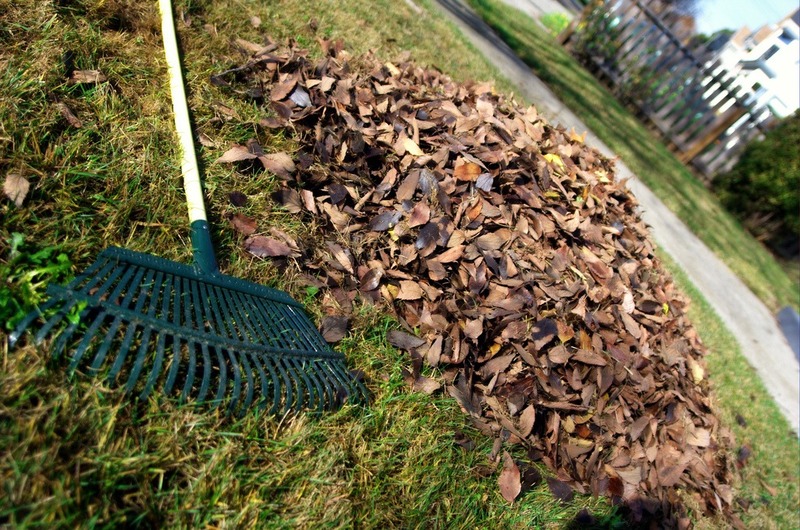 Shredding leaves is a natural way to help soil retain needed moisture and some experts believe it can cut fertilizer use by up to 30%. Place a 2-inch layer on top of wet newspaper in areas where plants don’t grow such as in between rows of vegetables. Otherwise, spread about an inch around shrubs and trees. This not only chokes out weeds, but allows grass clippings to be more easily be left on the lawn since they are shorter. Moderate and slow-growing plants generate less waste. Excessive pruning generates unnecessary waste and stress on the plant. Learn when the optimal time to prune your plants is in order to keep them healthy and promote healthy leaf growth. Plant according to space and height requirements to avoid managing a plant into a size smaller than it was meant to be. Buy a compost bin and mix kitchen food waste with garden waste to develop nutrient-rich fertilizer that can be used all over your garden. Rather than toss green waste overflow, buy another can from the city or elsewhere (if your neighborhood permits regular cans) for a minimal cost. Or, drive excess waste to Miramar Landfill yourself. 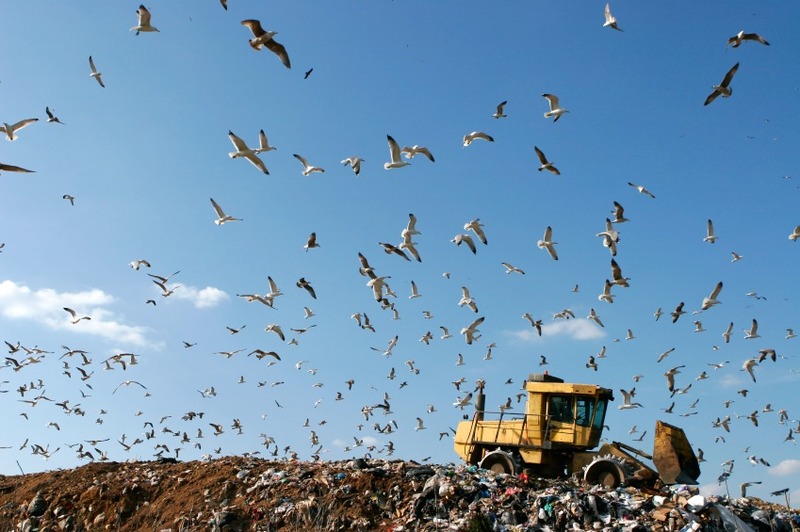 What Happens When Miramar Landfill Is Full? The City must revegetate Miramar Landfill’s 1400 acres as part of an agreement with the Marine Corps, owners of land. The way this is happening is pretty interesting. In order to house the trash, enormous holes were dug into the land and put aside to cover the trash as parts of the landfill close due to reaching maximum trash capacity. Because this soil was dug up from deep under the surface, it doesn’t have a ton of nutrients. Mulch is then incorporated into the soil that covers the trash in order to remedy this problem. The area is then seeded by hand or machine (we assume with native plants). However, Miramar Landfill has a nursery capable of growing 30,000 plants at a time. Mature plants are planted in these closed, mulched and reseeded areas in order to speed up the process of returning the landfill to its native space. The goal is to replant 50 acres each year. Volunteers can help. Call Miramar Landfill for details. How do you reduce green waste?